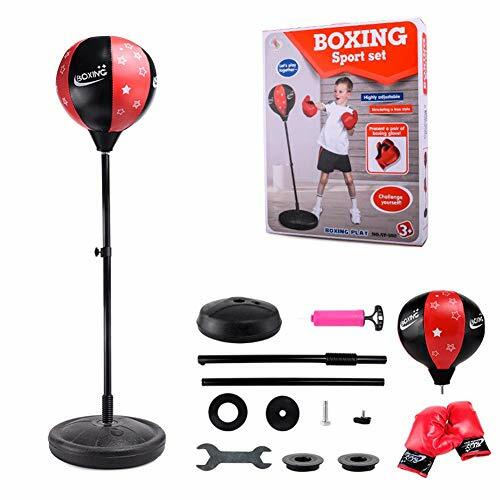 PROKTH Teen Fitness Freestanding Reflex Punching Bag Boxing Reflex Ball Teenagers Kids TechTools Great Exercise & Fun Activity by PROKTH at freespiritedfit.com. MPN: PROKTH. Hurry! Limited time offer. Offer valid only while supplies last. Boxing exercises, improve hand-eye coordination, train boxing reaction and punching speed. Build up your body, soothe the stress from work and study. Boxing exercises, improve hand-eye coordination, train boxing reaction and punching speed. Build up your body, soothe the stress from work and study.